General TV Channel / The Vision Group of Companies, commonly known as the Vision Group, is a multimedia conglomerate in Uganda. 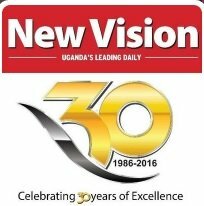 The group was established in 1986, with the flagship publication, the New Vision Newspaper. The group's holding company is The New Vision Printing & Publishing Company Limited, also referred to as the Vision Group. The Group owns other newspapers, radio stations and two television stations, as of January 2010. The stock of the holding company is traded on the Uganda Securities Exchange, under the symbol NVL.